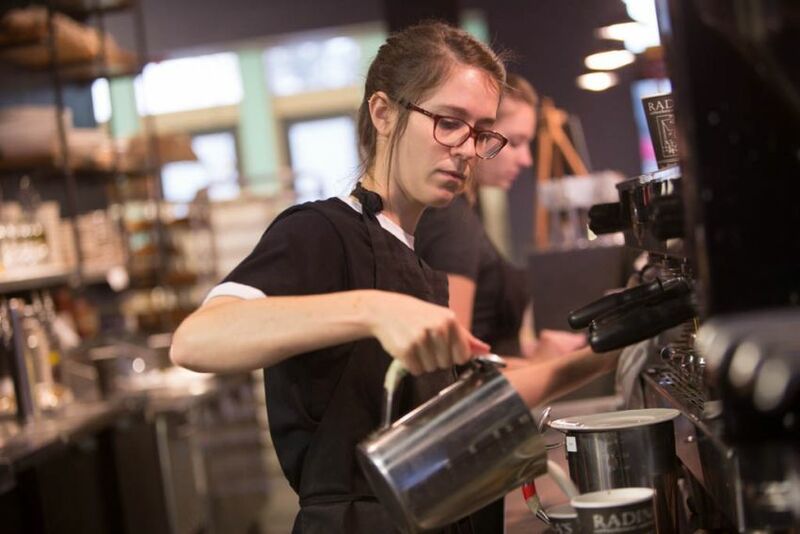 Kelsi Heskett, manage of Radina’s Bakehouse, pours steamed milk into a cup of coffee on Sept. 23, 2015. Radina’s was a local coffeeshop with four locations. Owners Wade and Annette Radina planned to open two more shops on K-State’s campus by fall 2016.